I’m just heading home from a couple of days of meetings at the Delta Montreal Hotel. I’m not particularly fussy about hotels: clean and a good restaurant top my list. 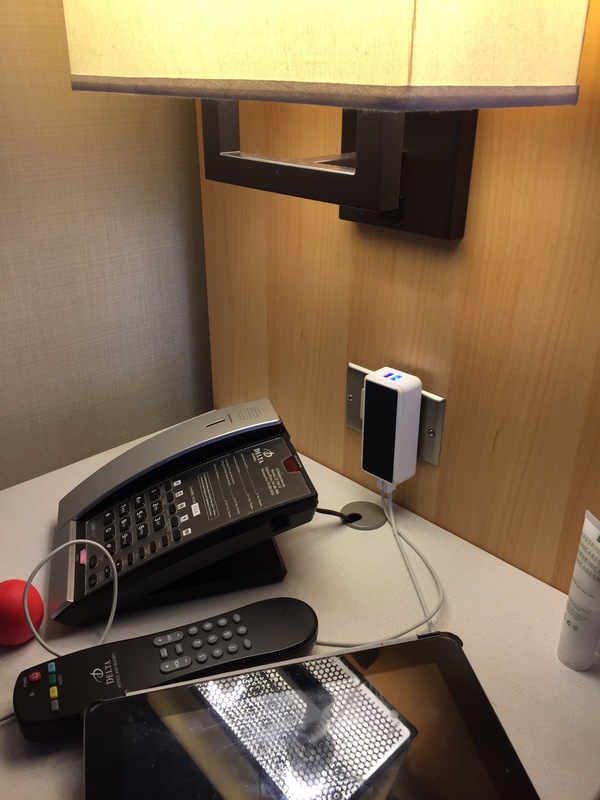 What makes me really LOVE a hotel is access to power outlets. It’s a little thing, but when trying to recharge everything before another day of meetings, it takes on monumental proportion. And this hotel rocked! I don’t travel often. 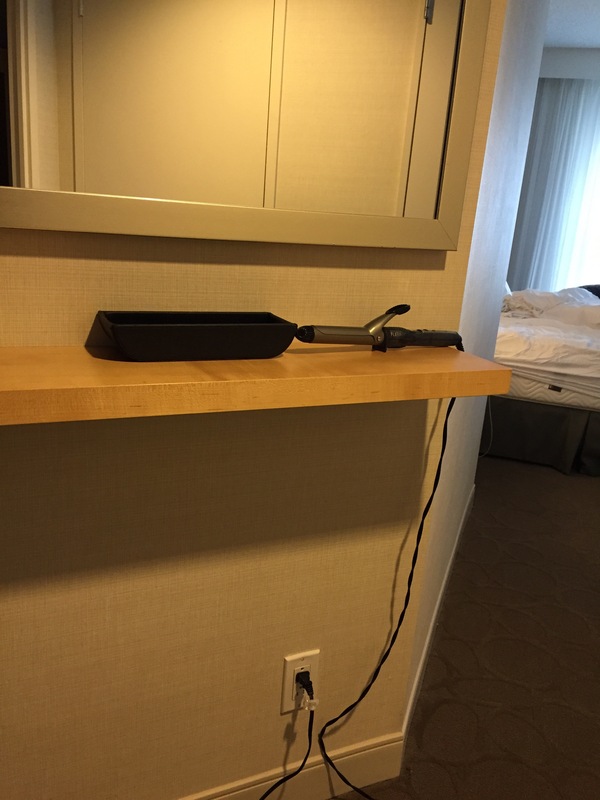 I’m a terrific homebody, but when my mother and I went to Boston a couple years ago, the hotel we were at had a good number of outlets. 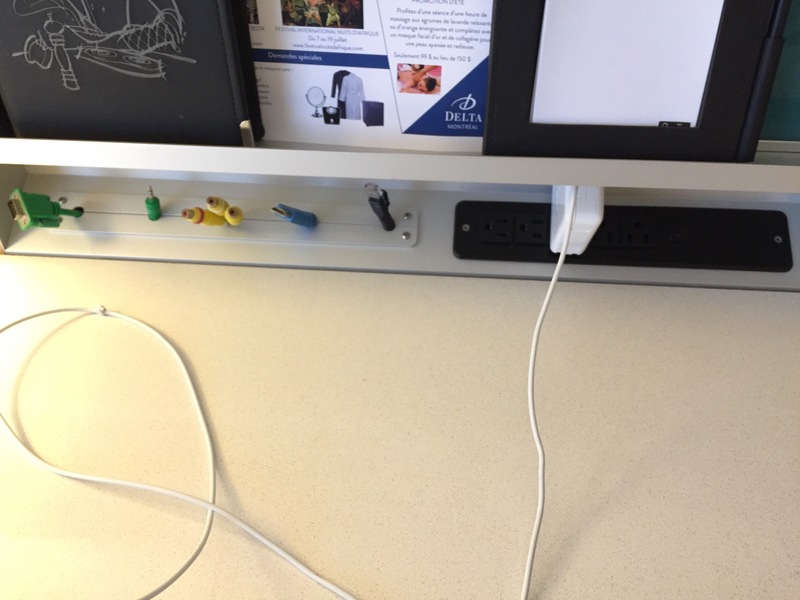 No power strips, but the outlets were all easy to find/easy access. And I think we had a mirror similar to that for hair, etc. 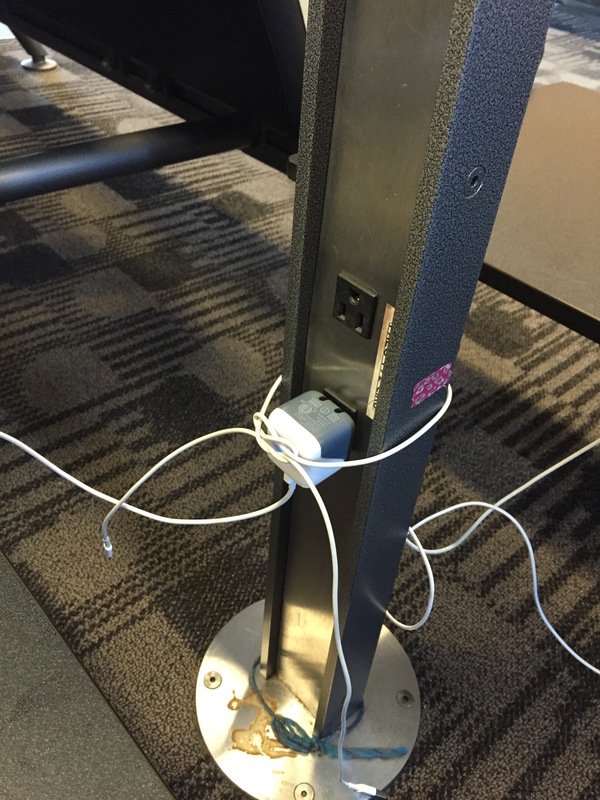 I think the terminal we waited at at Logan even had decent outlets, so we didn’t have to MacGyver anything.